If you are stuck while trying to design a color palette for your space, consider the 60-30-10 rule. With this rule, you will choose three colors and distribute their use: 60% of the room will be the dominant color, 30% will be a secondary color, and 10% is reserved for the accent color. Your room will look cohesive and complete without feeling too busy or overdone. When planning your window treatments, the materials you choose can fit into any of these categories depending on the size of your windows. Big windows with large Drapes or fabric Roman Shades will most likely fall into your dominant or secondary color family because of the visual real estate they occupy. For smaller windows and shades or blinds, you can use your window treatments as accent colors. Afraid of using too much color? “Add an accent color to your drapes or roman shades by adding a border to either treatment in a solid color or a pattern,” says Julia Goodwin, the voice behind the design blog My Manicured Life. Use the color wheel to pick your color scheme. Complementary colors lie across from each other on the color wheel and typically provide a bolder look. For example, if your walls are green, red shades would represent a complementary color. 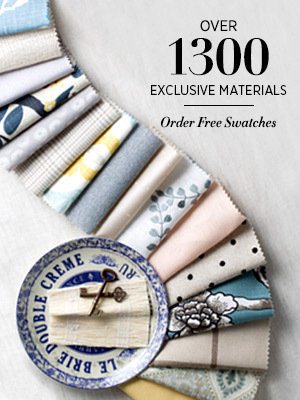 For bright solids, our Cotton collection for Roman Shades and Drapes has a wide variety of options. 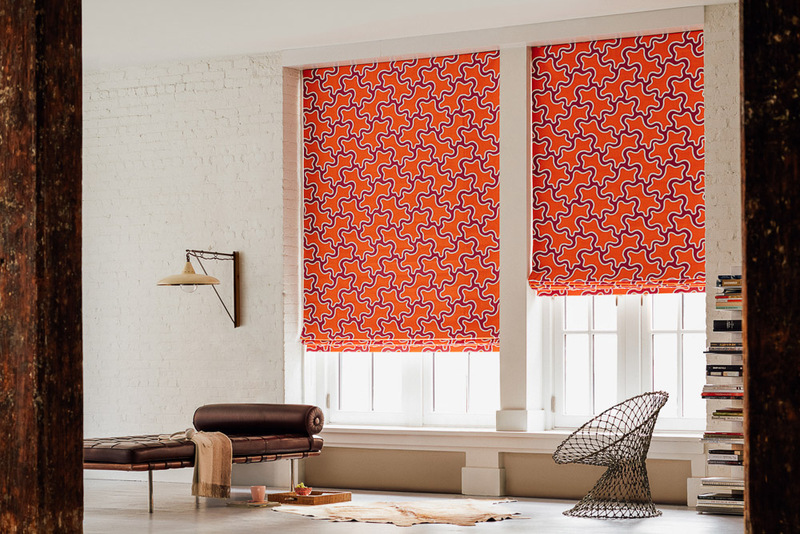 Purple and orange, as shown in the Roller Shade below, are also complementary. Analogous colors, on the other hand, sit next to each other on the color wheel. These combinations tend to be soothing to the eye and appear very harmonious, such as blue and green, yellow and green, and blue and purple. Neutral does not have to mean boring, especially for your window treatments. If your home falls into the beige or gray color families, you can add interest to your space with textures or prints in similar colors. 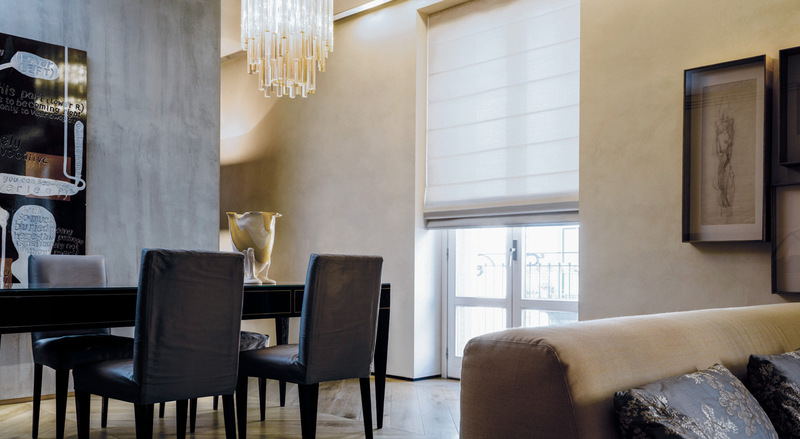 Cascade Woven Wood Shades, shown in the photo below, feature hand-stitched horizontal dowels and our natural Grassweave material. The color blends in with the wall, but the texture and structure of the shade allow the window to act as a subtle statement piece. Black can be a scary color in interior design, but nothing amps up the drama in a room like a black accent. 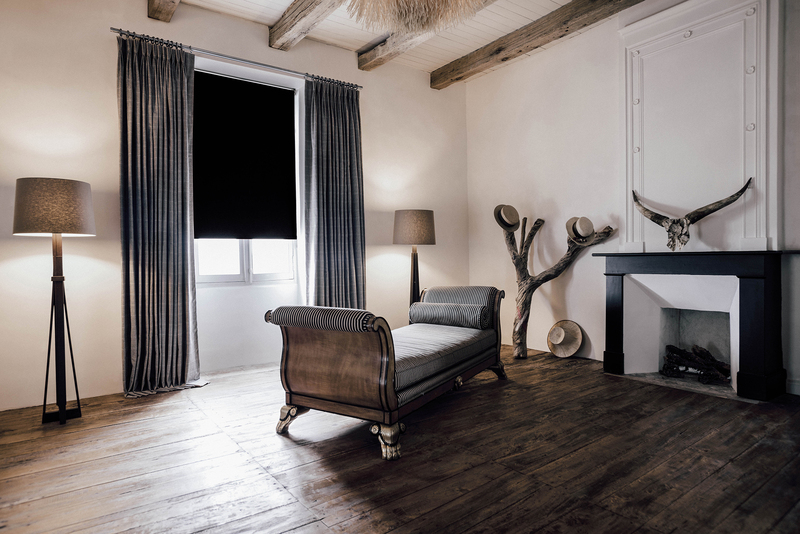 With light colored walls, a black Roller Shade or black Wood Blinds provide a tasteful touch of dark. 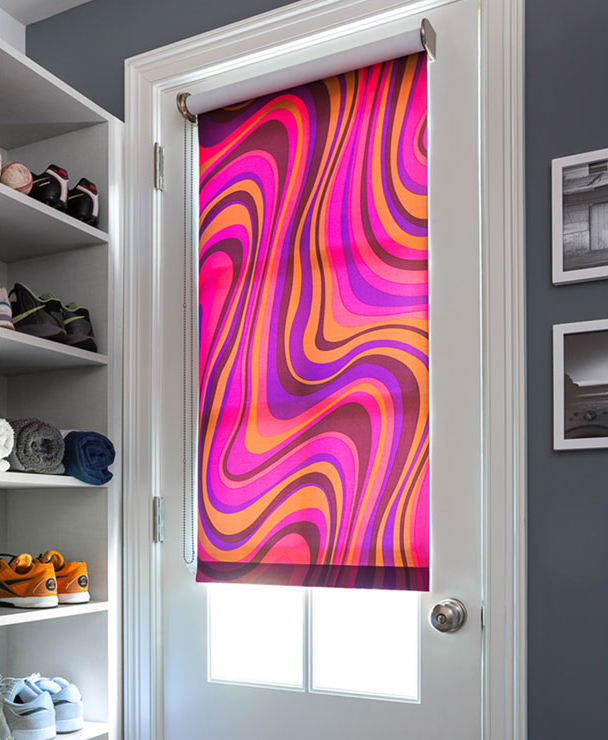 For Roller Shades like the one below, try a blackout material for a pure black that will also block light and provide maximum privacy. Love the look of a black accent but afraid it’s too masculine? Dark and rich botanical prints such as Desert Flower in black is your answer. 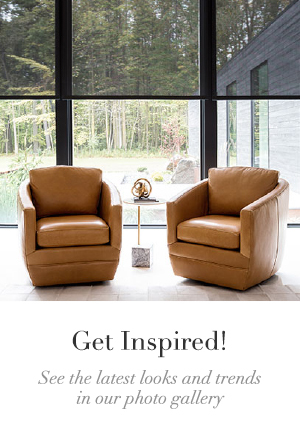 Pair it with dark or light grey drapery panels that create depth and visual interest in any room. If you plan on using darker drapery panels, you can add a layer of light sheers that allow plenty of light in during the day to make your home brighter and lighter,” says Julia. Browse our entire swatch collection online, or visit a showroom to see all the color options in person. Our Design Consultants will be happy to help you design the perfect window treatment for your home. 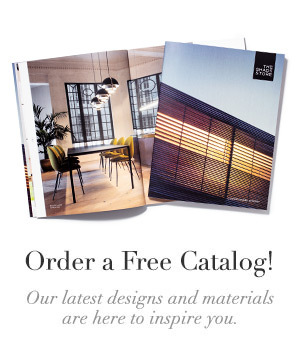 To learn more about Julia and see her portfolio, visit Julia Goodwin Design.